Ok so it’s not an essential … or is it? If you camp in Caravan parks and larger commercial campgrounds the firepit is likely to be a permanent one provided by the camp park owner. However, if you like the more rustic “away from it all” type camping you’ll want a fire pit. Weight: You don’t want it to be so heavy it’s hard to pack up, also you need to remember it will be adding to the weight of your van or camper when travelling. You also don’t want it to be so light that it’s flimsy and will tip over at the slightest breeze creating a fire hazard. Firepits at around 8kgs and up to about 35 kgs should be light enough to move around (as long as it takes down flat pack style) but not too light they fall over at the 1st sign of breeze. Stability: Now that is very important. You need a design that will be stable even after it’s been pulled apart and put back together several times. Legs contribute to stability but remember you’ll be putting wood in it. Can it take the added weight without toppling over? Of course, you need to make sure the fire pit is set up correctly. The stablest fire pit around is likely to topple if not put on a reasonably level surface. One that will save the grass: Get one that is off the ground so that there isn’t a black burn marking your spot! One that has legs and a base or better still a double base will help with that and will mean you’re more likely to get invited back to that great camp spot you found. Good airflow: It’s no good having your fire pit too enclosed or too open. You want good airflow so the fire doesn’t go out but also not so much that it will blow ash around and also more easily get put out by wind or rain. Versatile: A fire pit that can be easily used for cooking is wonderful. No more looking around for bricks to keep your camp oven off the ground or trying to make a tipi to hold your billy for the essential morning cuppa. So it should either come with rails or you should be able to add a bbq plate or grill to it without smothering the flame. Easy take down and put up: The worst part about camping is the pack up. You’ll want a portable fire pit that packs down flat and is relatively easy to both put up and take down. The Nomad is a great example of a small easy to take down fire pit. It packs down flat and is light and small. If you’re wanting something a little larger the Wanderer is a great choice. 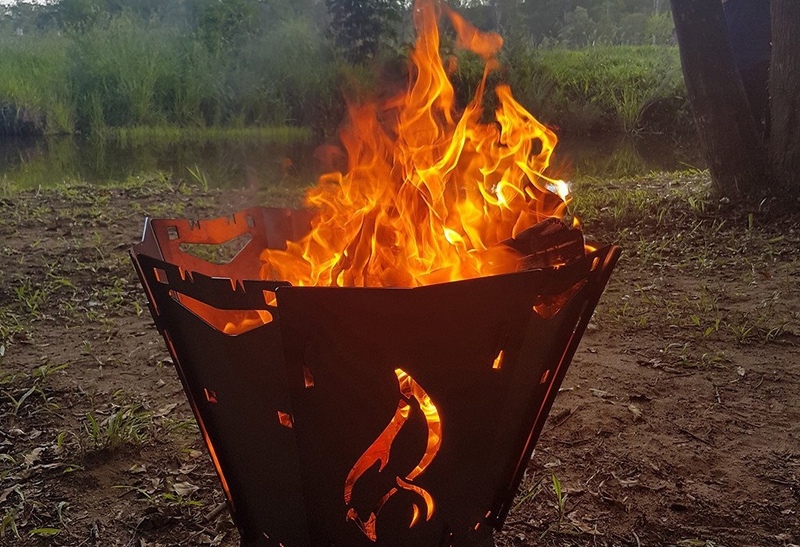 The Nomad and the Wanderer are both hard to pass by when looking for a portable fire pit, fully Australian owned and designed with Australian conditions and use in mind. 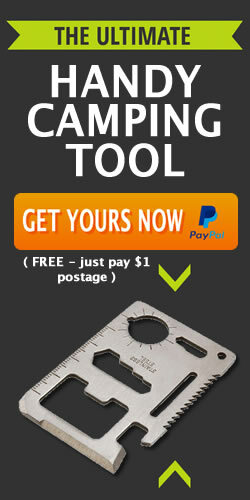 The wanderer and the Nomad can be used at home in the backyard or easily folded up and taken when you go camping.